Exciting your child’s love for learning outside of the classroom is imperative, and there’s no better way to do that than with Rhode Island’s many engaging, educational activities. Across Rhode Island, you’ll find everything from museums to bring out the inner artist in your child, biology centers to inspire a love for science, and farms to ignite an interest in the state’s agriculture. 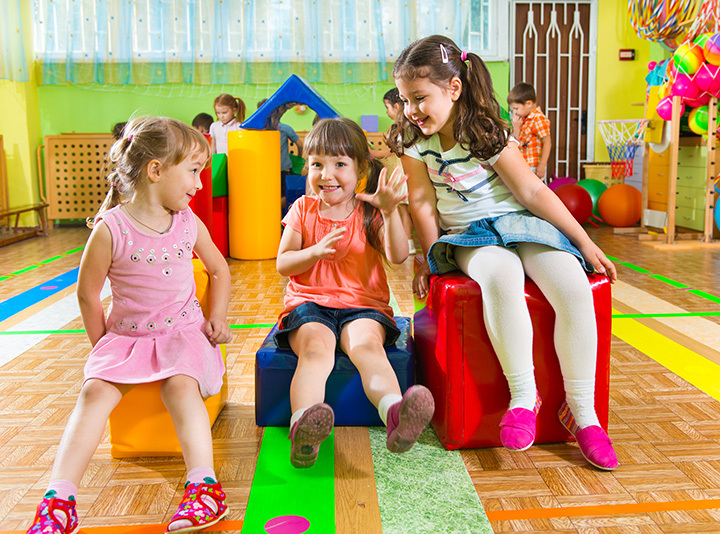 Here are the 10 best educational activities for children in Rhode Island. A dragon looks over this children’s museum, delighting kids from the very moment that they walk in the door. Let your kid run wild through the water play areas, climbing mazes, and tunnels where they can come to understand scientific principles through sensory skills. Then head up to the second floor, full of more historical fun. Take a more approachable tour of the RISD Museum through the Tours for Tots program. These tours, which run for 45 minutes, encourage kids to engage in creating their own art and adventuring through the galleries. Or head out to an open studio, with activities for kids design by artists themselves. The best way to learn about farms? Head to one! At Dame Farm and Orchards, you can pick your own apples and pumpkins during the fall, blueberries and peaches during the spring, ride on tractors, and learn how the foods that kids eat at home are grown in the field! Open from noon until 5 p.m. daily, the Biomes Center is one of the most hands-on aquariums in New England. Since 1989, the center has been teaching kids (and even adults) about different animals that find shelter along Narragansett Bay and the ocean waters all around the Ocean State. Over 40 marine species live in Save the Bay’s Exploration Center. Show up around 5 p.m. on one of their designated “Feeding Frenzy” days to learn how the keepers give animals their meals. If you’re lucky, you might even be able to assist! They also offer lighthouse cruises and seal watching tours, in addition to summer camps along the bay! Learn about wildlife with the Roger Williams Park Zoo! Attend an animal keeper talk daily at 11:30 a.m. or, for younger zoo visitors, attend the “Preschool Adventures” program, which includes a lesson, activity, craft and a real-life encounter with one of the zoo’s many animals. Bring your kids to this fantastic outdoor art festival. Weave through the booths from local artists and check out the various acts that perform throughout the night—like fire dancers or children’s choruses. It’s the perfect casual arts event and night on the town with the family. But don’t bring a stroller—the wheels won’t do well along the cobblestone streets. Observe and study new types of birds at this sanctuary located near the Rhode Island coast. The sanctuary also offers summer camps from kids in pre-K to age 12. Hike around Middletown, study different animals and plants, and maybe even get a chance to camp overnight at the sanctuary! This Cranston touring children’s theatre gives performances at schools and venues across Rhode Island—and they’ll even perform at birthday parties! Their season runs all summer in Cranston’s Scottish Rite Auditorium, though they often tour around Rhode Island to present classic fairytales as told on stage. In February each year, the Providence Children’s Film Festival with over 10 days of screenings. Kids can also attend film workshops and conversations following screenings, which can help them to develop critical thinking toward film. Since 2014, the festival has also showcased films made by youth with the Youth Filmmaker Showcase.